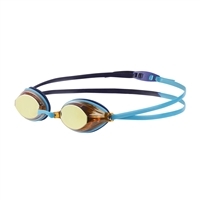 These brightly coloured junior swimming goggles from Speedo feature Biofuse technology that is designed to give maximum comfort with no lens distortion. The wide angle lens with anti-fog ultra provides excellent vision and clarity so your kids can enjoy splashing about for longer. Please note: Colours may vary and may not be colour shown in the image. 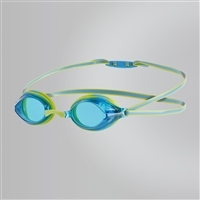 Speedo speedsocket goggles are a top line goggle, which is very popular. 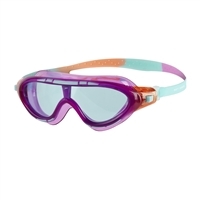 With its interchangeable nose bridges to make the goggle fit better on you face. 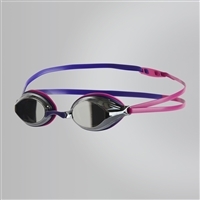 Goggle strap with patented tensioning scale for a unique and personal fit. Fit point markers for precise alignment of fastskin goggle and cap by touch before race.